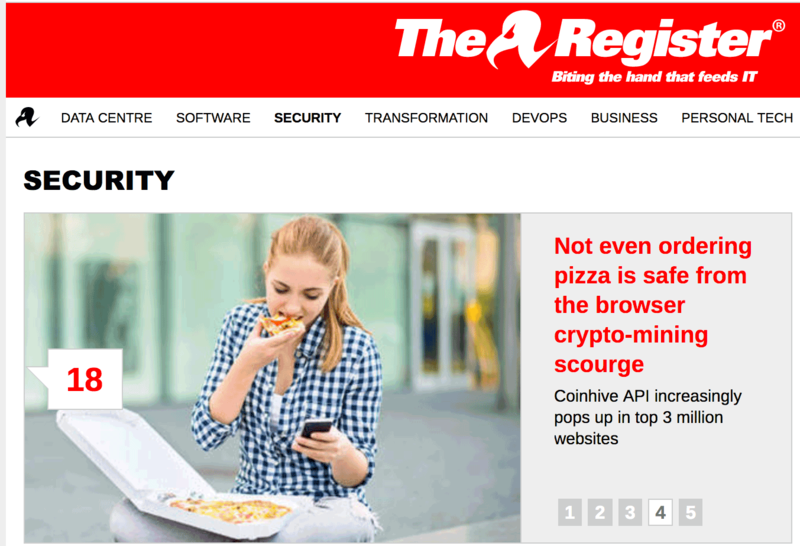 Our scanning tech alerted us to quite an interesting find this week, and it ended up making front page news on TheRegister. 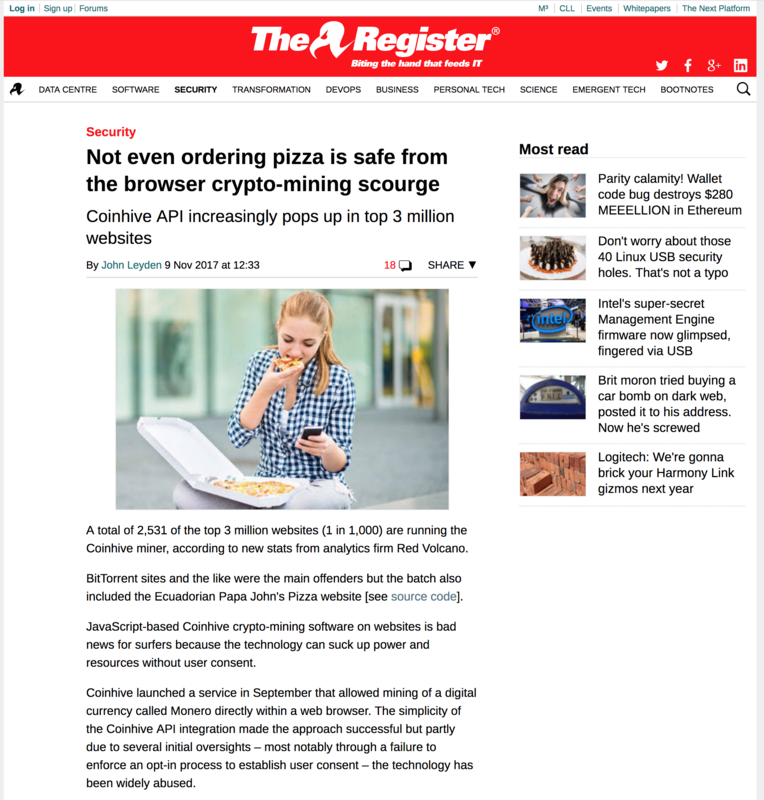 We’ve seen some websites legitimately using this instead of advertising (remember, it will be your browser and your cpu mining coins for them) – they’re pretty upfront that’s what they are doing and we feel it’s a good substitute for advertising, particularly when their content may not be desirable for brands. However, there are also websites that run Coinhive but don’t tell you, and even some where you certainly would not expect the find it. One of those was PapaJohns website in Ecuador. We tried to contact PapaJohns but had no response, so we did the next best thing and alerted the media. The story was picked up by The Register and run as a front page story.